Maksud Djavadov, researcher and analyst at the Institute of Contemporary Islamic Thought (ICIT), visited Sarajevo in August 2010 to conduct field research and examine the current situation of Islamic revival there. Maksud Djavadov, researcher and analyst at the Institute of Contemporary Islamic Thought (ICIT), visited Sarajevo in August 2010 to conduct field research and examine the current situation of Islamic revival there. This article is part of a series of analyses on the process and challenges facing Muslims in Bosnia. Even though the process of Islamic awakening in Bosnia can be characterized as good, the past 15 years have not led to the desired results. Islamic revival in Bosnia is in the process of being marginalized and tailored in accordance with the wishes of imperialist powers. 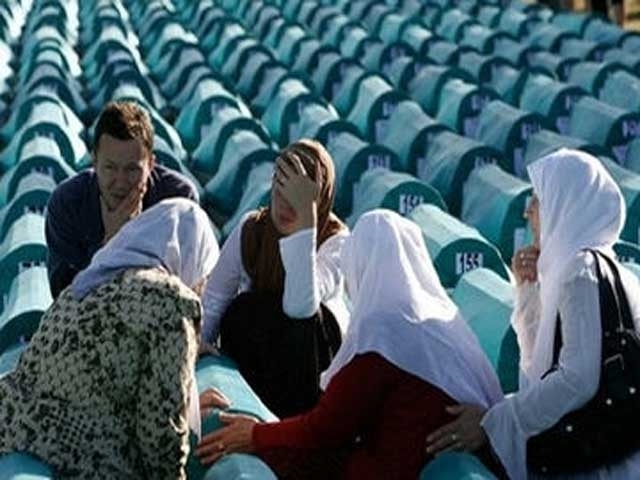 The genocidal war in Bosnia was orchestrated in order to eradicate the Muslims in Bosnia as well as the lingering possibility of an Islamic state being established in Europe. With all the hostility of anti-Muslim powers directed at Islam and Muslims in Bosnia, Islamic organizations in Bosnia have not yet managed to create a popular mass movement that is able to offer solutions to the strategic dilemmas facing Bosnians of all religious persuasions. In order to understand why this is happening we must examine what these strategic dilemmas are. The Dayton Agreement that silenced the guns in Bosnia in December 1995 brought with it strategic political, economic, and cultural challenges. Since Muslims are the principal group interested in preserving a unified Bosnian state that is composed of Orthodox (Serb) and Catholic (Croat) Christians and Muslims, the challenges of post-war Bosnia are primarily directed at Bosnia’s Muslims. Most Orthodox Christians consider themselves Serbs while Catholics call themselves Croats. It is therefore, left to the Bosniaks (Bosnian Muslims) to make the state functional in order to make it attractive for both Orthodox Christians and Catholics to remain within a unified Bosnia. Taking into consideration the geopolitics of Bosnia, this is a very difficult task. The current power balance between the secessionist movements in Bosnia and the central government does not allow Bosniaks the opportunity to implement policies guaranteeing the independence of a unified Bosnia. The so-called international community intervened in Bosnia at the moment when Bosnian forces were just beginning to gain the upper hand over the racist secessionist movements. The Dayton Accords constructed a series of “checks and balances”. Under this arrangement, a state in Europe where Muslims are not a fringe minority but people with significant power, still gives the Serb and Croat secessionists enough power to enforce separatist policies. This arrangement is formalized through the Dayton Accords and by the political-administrative process derived from them. Most Bosniaks consider the current system of government bad but the best option available to them at present. The Dayton agreement set up a sectarian-based system where the Croats, Serbs and Bosniaks elect their own presidents for a period of four years. Each serves as president in rotation for eight months. Both the government and parliament in Bosnia are run on sectarian bases. Even though decisions are supposed to be taken by majority vote, any of the three religious groups can block a decision if it considers it detrimental to its own interests. The country itself is split into two federal entities with vast self-governing powers — the Bosnian Federation dominated by a Muslim-Catholic alliance and the Orthodox autonomous region known as Republika Srpska (RS). Further, the country is split into several cantons and municipalities, plus a self-governing district of Brcko. The Orthodox Serb part of Bosnia is almost monolithic due to “successful” genocidal policies of the local secessionist leaders backed by the Serbian state and Western powers. This was augmented by the weapons embargo that was imposed on Bosnia during the 1992–1995 war. It is, therefore, easier for Republika Srpska to design policies and implement them because they do not have to please several religious groups. The Muslim-dominated part of Bosnia is not only fragmented between Muslims and Catholic Croats, but also among various Muslim political/business factions. 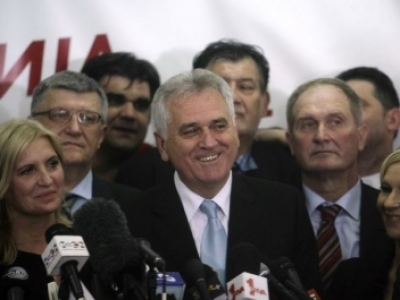 One of the biggest complaints the Bosniaks have is against their own political elite. They say the elites view political power as a means to acquire personal wealth. For most Muslims, last month’s parliamentary elections were more about making a choice between various Muslim factions than choosing those that would implement policies directed at unifying Bosnia and making the state function effectively. All forces participating in the Bosnian political process define the state, society and their own political platforms based on the framework of Western secular thought. The US and EU enforced a framework in Bosnia where all the socio-political forces dare not think outside the intellectual, political, economic, and social boundaries set for them. It is a fact that Bosnia cannot and to a certain extent must not disassociate itself from the West because it is geographically a part of it. However, the social and moral values of the Bosniaks and their mental outlook are not the same as that of their neighbors to the West or North. Lack of courage and confidence by the political elites in Bosnia to admit this fact and to safeguard their society from foreign hegemonic powers will have a severe negative effect on Bosnia. Lack of experience with privatization of the economy in post-war Bosnia is an example of how the policies designed in Washington and Paris do not take local necessities into consideration. For example, the insistence of USAID to adopt economic “solutions” of the imperialist economies under the label of “privatization reform,” and lack of courage by the local political elite to expose its non-applicability to Bosnia has led to stagnation and flight of capital rather than improved financial results, higher employment, and increased efficiency. Strategic roots of social, political, and economical problems of post-war Bosnia are in the subconscious inferiority complex of its socio-political actors who see the EU- and Washington-designed policies as superior to their own. Blind acceptance of such policies dictated by the so-called civilized West whose primary goal is to keep the largest religious group in Bosnia — the Muslims — from successfully exercising power in a European country, will keep Bosnia in a constant state of tension. Bosniaks are part of Europe and the negation of their right to exercise power in Bosnia through constant foreign interference will only aggravate the situation further. Where is the Islamic Movement? Field research in Bosnia shows that awareness of Islamic ideas and practices is definitely on the rise. However, this awakening has not resulted in solving many of the problems facing the state. Even though the intellectual level of Islamic oriented organizations and activists is high, they cannot convert the spiritual and ideological power of Islam into active social and administrative force because they lack vision and strategy. Foreign interference is one of the main reasons for this failure. Public figures with Islamic credentials and resistance background are isolated or eliminated from the public scene under the pretext that they are obstructing the “stability” reached under the Dayton agreement. Young Muslims, a grassroots Islamic organization in Bosnia that spearheaded Islamic revival in the country during Communist rule, currently plays little or no role in Bosnia. One could compare its role to that of al-Ikhwan al-Muslimoon in Egypt, but on a much smaller scale. Its work in Bosnia is mainly focused on propagation of Islamic values and practices. An organization with such background should have been one of the most important forces tackling economic, political and social problems, which the people of Bosnia whether Muslims, Croats or Serbs face on a daily basis. The biggest problem facing the Islamic movement in Bosnia is lack of practical work that would make the state functional. During an interview with an active member of the Islamic movement in Sarajevo, he stated: “this mentality of being passive in a social sphere is derived from the [mistaken] belief that issues of unemployment and corruption are not the business of Islamic organizations; they belong to the state.” Such narrow thinking precludes Islam as a source for finding solutions to the problems facing Bosnia. There are however, some organizations that do practical work and demonstrate to the society that Islam can offer solutions. Nahla and Kevser, for instance, do remarkable work at the grass roots level. Nahla focuses mainly on women’s issues, education, preparing people for the labor market, and inter-religious dialogue. 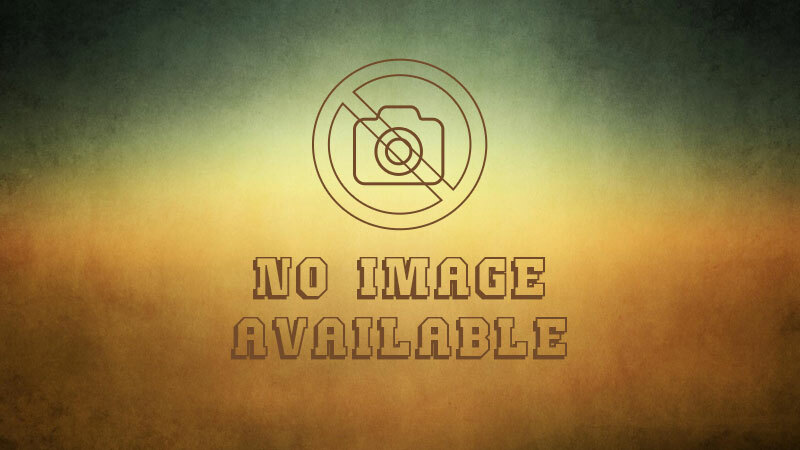 The work of Nahla and its counterparts, however, is a rare phenomenon and it is not backed at the practical level by the official Islamic center of power, the Islamic Community of Bosnia and Herzegovina (ICBH) known in Bosnia as Riyaset. 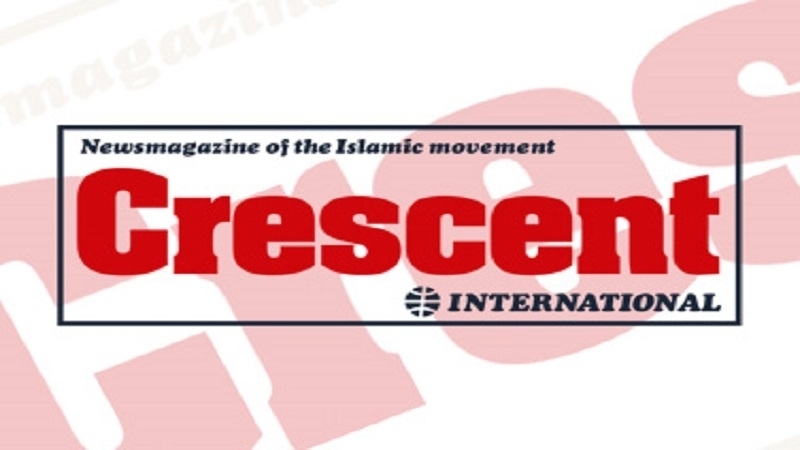 Currently the ICBH serves as a link between non-state Muslim activists and Bosnian Muslims that form part of the US and EU designed state bureaucracy. The ICBH also plays a balancing role between various Islamic organizations, linked to Muslim countries as well as external organizations. In addition, it also acts as an unofficial intermediary between various factions of the westoxicated Muslim elites in the corridors of power. Taking into account the geopolitical realities of Bosnia, the ICBH is considered to be doing good work in this respect. However, it is also a fact that ICBH is not willing to expand its role by stepping outside the framework drawn up for it by the US-EU established political order. It appears satisfied with its current role that does not test its credibility and power at a strategic level. It functions within its own comfort zone and does not feel obliged to expand its role or that of other Islamic organizations that naively look to the ICBH for direction and leadership. We learn from Islamic history that it is not absolutely necessary to be in a majority to rule a state successfully. The Prophet (pbuh) established a state in Madinah while Muslims were a minority. The Prophet’s (pbuh) social, political, and economic program attracted most of the people including the Jews and mushriks who accepted the Prophet’s (pbuh) rule through the Covenant of Madinah. The Prophet’s (pbuh) program was based on fairness and justice. Muslims ruled Bosnia from 1463 to 1878ce and during that period, they were a majority for only about 200 years. This shows that a just and logical socio-political program based on Islamic principles and regulations can attract non-Muslims into its fold. Lebanon is a good contemporary example; the principal ally of Hizbullah is the largest Christian political bloc led by Michel Aoun, a former general and president of Lebanon. Milorad Dodik, leader of the Serb Orthodox Christian secessionist movement and one of the staunchest opponents of Bosnian statehood, said in 2009: “We [Serb separatists] are not the ones working to undermine Dayton.” This shows that the enemies of Bosnian statehood want to work within the framework of Dayton because it provides them an opportunity to undermine Bosnia and stall its development from within. The Islamic movement in Bosnia must, therefore, come out of its antiquated thinking and turn itself into the driving force of change which would benefit and attract all religious factions in Bosnia. The Dayton framework is not sustainable because the EU and US are not long-term partners of the Bosnian state. 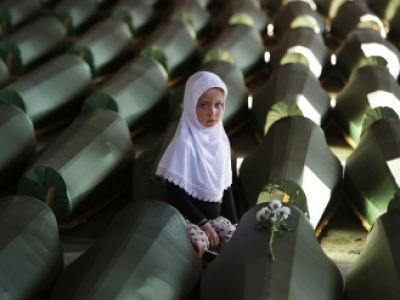 They view Bosnia as a front line for their global battle against Islam. Bosnian Muslims cannot ignore this reality. The objective of the post-Dayton order is to make sure that Bosnian Muslims do not become a dominant force in Bosnia. The reality is that without the active participation of Bosnian Muslims in power, Bosnia will never be a functioning state and can disintegrate. One cannot run a state or hope for a stable Europe while nearly 65% of Bosnia’s population is constantly put under political pressure. The hard war, using guns and bombs, against Bosnia’s Muslims ended in 1995, but the soft-war — political machinations, social destabilization and diplomatic pressures — continues. The harsh geopolitical reality of Bosnia will be used to undermine its statehood. However, rational policies formulated on universal Islamic ideals can neutralize the leverage of imperialist powers by making Croats, Serbs, and Bosnians partners. The Bosnian Muslims cannot duplicate the experience of Iran, Turkey or Lebanon; they must take account of the very different environment in which they operate. This, however, does not mean that the Bosniaks must surrender to hegemonic imperialist powers or compromise their fundamental rights.